The most popular aeonium, rightly so, the genus native to the Canary Islands. 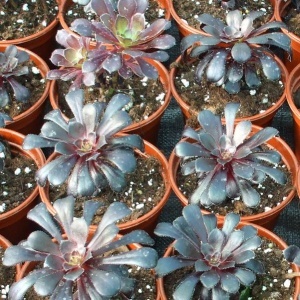 This evergreen has extremely dark purple rosettes of leaves [turning lighter to green in winter] . Treat as tender, great in a pot.